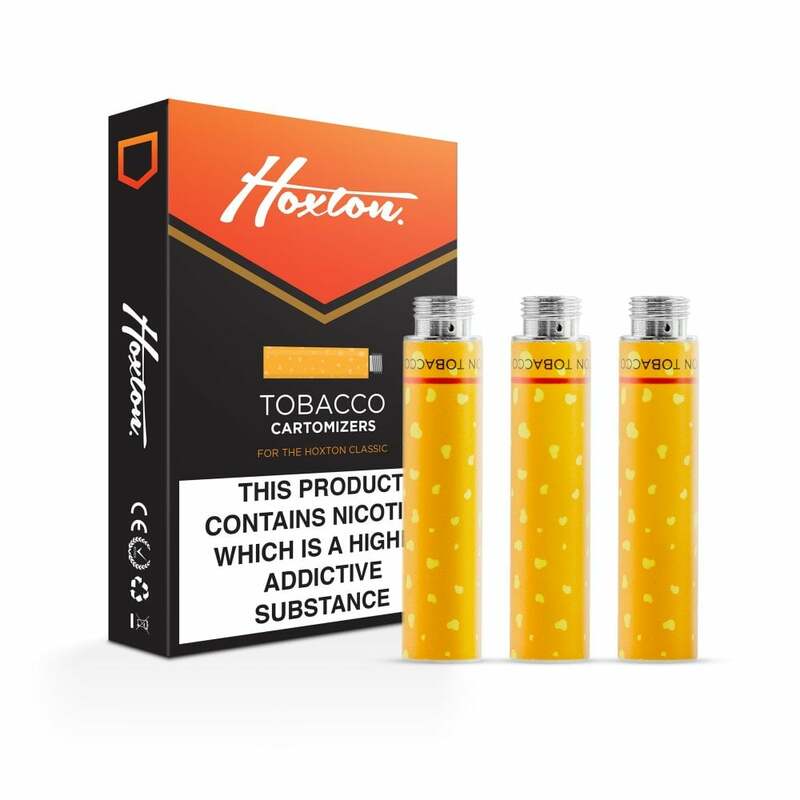 Hoxton Tobacco Refills are for use with the Hoxton Classic Kit and Hoxton Classic Battery only. Each cartomizer is pre-filled with 18mg e-liquid, and lasts for roughly 300 puffs - equivalent to a pack or more of cigarettes! Excellent product. Superb quality. Very cost effective. SIMPLY THE BEST. Reasonable replacement for Vapestick. I prefer Vapestick but this is no longer available. It is cheaper but the cartomizers last shorter. Sorry for my english, I'm dutch. This product never lets me down. It seems to have just the right ability to satisfy my tobacco needs. Good brand, good smoke so what else does one need from a vaping moment? Thank you. I am very pleased with the hoxton cartomizers. They are as good as the gamuci product. I will be ordering more soon. Many thanks, Chris L.
Oh dear. If you're llooking for a replacement for Gamucci Original Bold, keep looking. These have substantially less vapour and a fraction of the flavour. I guess they're comparable to the weaker (non-bold) Gamucci original - which were not really fit for purpose, and neither are these, sadly. Bought 3 boxes to try out because I have some Vapestick XL batteries left and the Vapestick cartomisers are all losing their consistency because they're reaching the end of their shelf life. I feel a bit ripped off as these run out twice as fast compared to Vapesticks. They taste ok, and throat hit is good too. Shame it starts tasting burnt so quickly. Unfortunately my search for a good replacement to my Vapestick does not end here. very good product but doesn't last very long. Bought as a replacement for Gamucci, works well and looks good. These are brilliant I have just quite smoking and these have helped me loads been two weeks since my last real siggy and I feel great. Very good replacement for Gamucci cartomizers.